Greece is leaving behind the crisis and moving ahead in an environment of growth and security for the region, said Prime Minister Alexis Tsipras in a meeting with US Commerce Secretary Wilbur Ross on Friday. 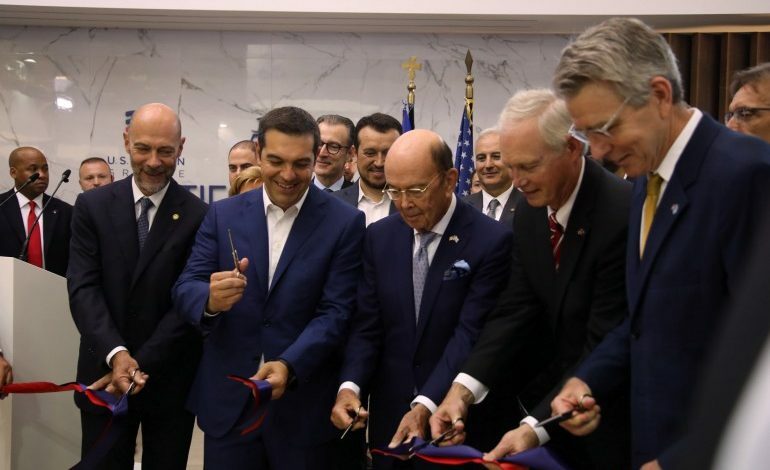 The Greek prime minister highlighted the large participation of US companies in this year’s trade fair in Thessaloniki, saying this reflects the close ties between the two countries and that this can be further improved in the future. Ross said that the US is supporting the Thessaloniki trade fair, Greece and its economy, in comments in front of television cameras. He added that the Greek economy is improving and described as being very important the economy’s momentum for the country. He added that in the past he would often travel to Greece. Greece’s public gas company is close to signing an agreement with Cheniere, the top American gas export company, DEPA managing director Dimitris Tzortzis told the Southeast Europe Energy Forum on Friday. Tzortzis named the company in statements following his address at the forum, which took place today in the context of the 83rd Thessaloniki International Fair, where the United States is the honored country. Both sides, he said in follow-up statements, are working on a twenty-year agreement. The collaboration will help DEPA become active in trading also. 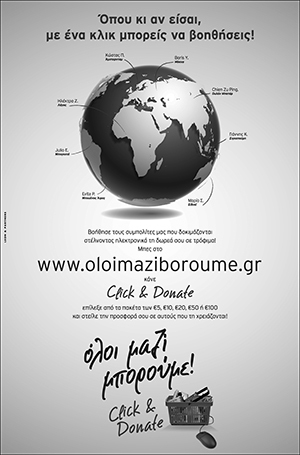 The energy forum is being organized by the American-Hellenic Chamber of Commerce in collaboration with the Hellenic Association for Energy Economics, a Greek think-tank, with the strategic partnership of the Atlantic Council. Greece and its neighbors have the capacity to achieve real transformation of the energy landscape, with enormous benefits for citizens and businesses alike, US Ambassador Geoffrey Pyatt said in his welcoming remarks on Friday at the Southeastern Europe Energy Forum, in the context of the Thessaloniki International Fair. Northern Greece and Thessaloniki in particular, he said have always served as important crossroads for Europe and the Mediterranean region. The region’s importance as a crossroads for energy resources was reflected in the two separate visits by senior-level US officials this summer, State Department Assistant Secretary for Energy Resources Frank Fannon and Department of Energy Undersecretary Mark Menezes, who was scheduled to speak after the ambassador. Pyatt referred to the project of the Southern Gas Corridor, a complex project which would “provide an alternative source of pipeline gas into Europe for the first time ever.” Greece, he added, is “playing a critical role in accomplishing this goal” through its support for the Trans-Adriatic Pipeline (TAP). ONEX Shipyards of Greek-American entrepreneur Panos Xenocostas has expressed an interest in the acquisition of the two main Attica shipyards at Skaramangas and Elefsina. Two days after the Syros court examined the ONEX plan for the streamlining of Neorio shipyards on the Cycladic island with its entry in the shipyard’s share capital, ONEX formally declared its interest in the country’s two main shipyards, near the capital. In a letter to the Greek government ONEX has proposed the en bloc acquisition of the two Attica shipyards, and Xenocostas told Kathimerini that ONEX is interested both in the commercial and the military sections of the Skaramangas Shipyards. Xenocostas announced the proposal in Thessaloniki on Saturday morning in the presence of Prime Minister Alexis Tsipras, US Commerce Secretary Wilbur Ross, US Ambassador in Athens Geoffrey Pyatt and Greek Alternate Minister for the Economy, Stergios Pitsiorlas, in the context of the Thessaloniki International Fair. The US Embassy in Athens greeted the expression of interest by ONEX saying it is wonderful to see the announcement of a US investment in Greece.